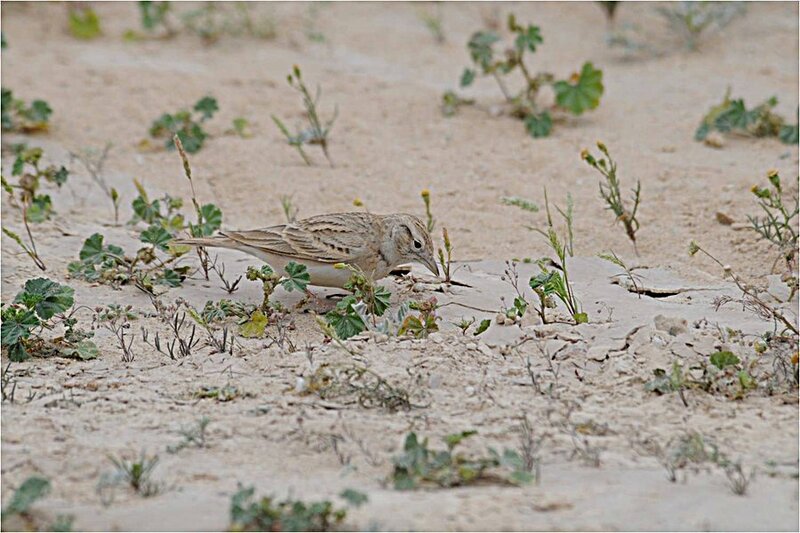 At Sabkhat Al Fasl (Jubail) yesterday we saw three Lesser Short-toed Lark which is only the second time I have seen the species at this site. 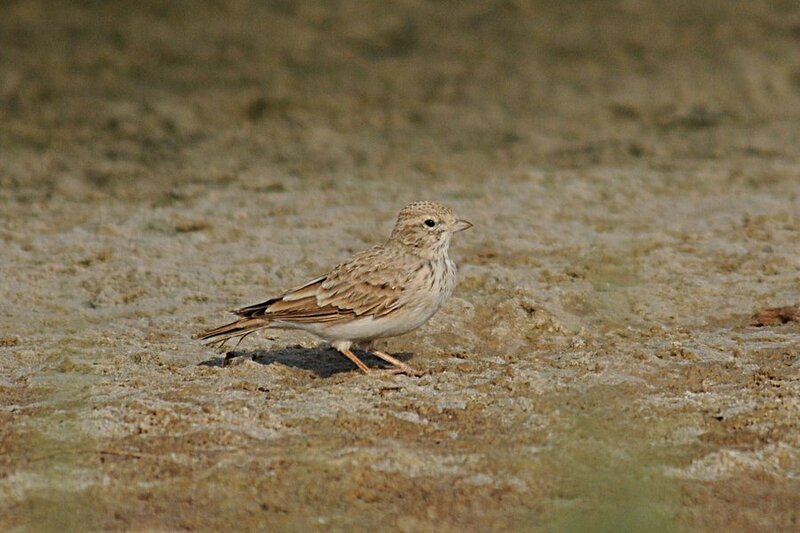 They were feeding in some short growth by the edge of one of the main reed beds. 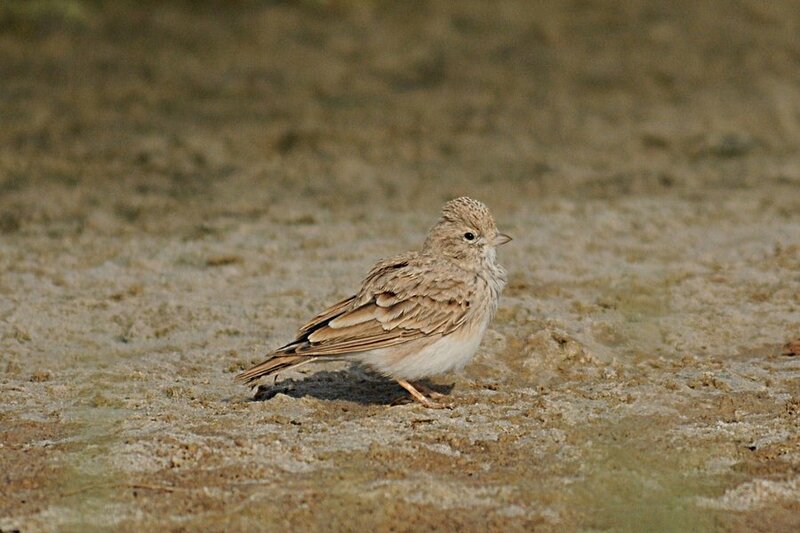 This is not a common bird in the areas of the Eastern Province that I bird although is a resident breeder and winters in certain areas in large numbers (>5000 birds). 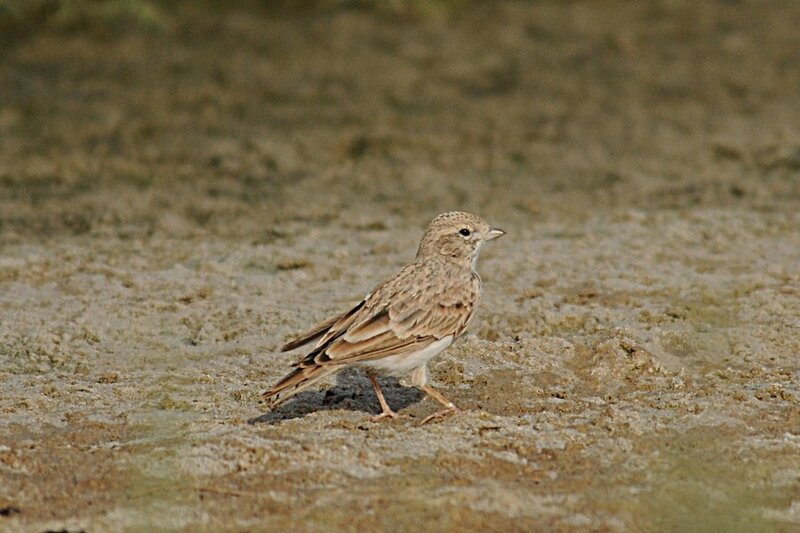 Luckily today we were able to get a number of good photographs of the birds and I have included a photograph of a Greater Short-toed Lark taken at Dhahran Hills in March 2011 so you can see how different the two species look.